We have created a special, peaceful place to relax, wind down, charge your batteries and find more inner peace, that’s easy to reach from Phuket or Krabi. At the same time, you will enjoy a beautiful holiday with the most friendly people and great food at a very nice island with sandy beaches and warm ocean water all year round. If you are interested in learning or training Yoga, Thai Massage, Meditation, Thai Cooking or more while you stay at the treehouses, please feel free to contact us and we send you more information and the dates for the next retreats and learning classes. Currently we offer you 8 different houses, different designs and with a different price range. Please see more details and photos about the house you might like in Accommodation. There’s a nicely ventilated and roofed yoga place (for up to 20 people), a massage cottage and our crazy looking breakfast & barbeque house right by our 70 metre lake, which will for sure make you happy as well. We have our own biological garden for organic vegetables and fruit with no chemicals added. Theere are always more than enough Bananas, Papayas and other fruit in our garden and are free for our guests. It’s just a couple hundred metres to the nearest beaches, and we are only 500 metres away from the little village with small supermarkets, hospital, 2 banks, post office, restaurants, hairdressers and other facilities you might need. 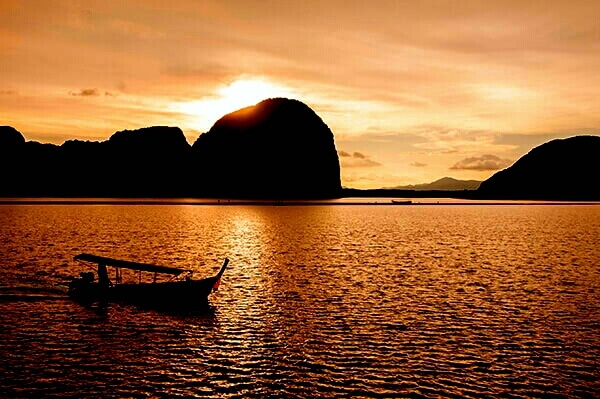 Koh Yao Noi is a little island between Phuket and Krabi in the Andaman sea. Well known beautiful places like Phi-Phi Island, James Bond Island, Riley and Maya beach are all near by and can be reached easily by boat in a short time. The people from Yao Noi are the nicest you have met in your life and the food in the restaurants is outstanding and at very reasonable prices. We have two 5 star resorts on the island (Six Senses and Hide Away) and these people only choose the nicest places on the world to set up their expensive resorts. If you fly in from Europe or the US, Phuket International is the nearest Airport (just 15 min by taxi to the pier where the boat to Koh Yao Noi leaves from), or you can also fly to Krabi if you come directly from Bangkok. 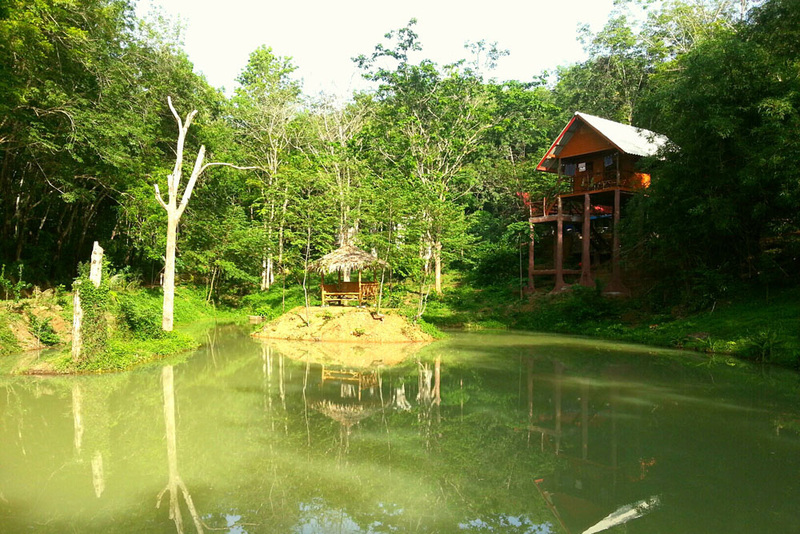 My name is Hubs, the the owner and builder of Koh Yao Treehouses. I’m an artist, well known custom knife maker and Harley customizer. Before every dream is a vision… My vision dates back around 50 years, when I was in my youth, trading Mickey Mouse booklets for Tarzan journals. To live up in a tree, looking down to the world had always fascinated me. 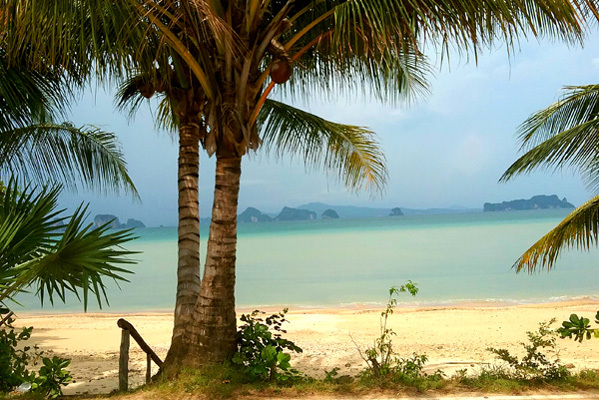 But only now, about 50 years later, my dream came to reality – and all this on a small island in the beautiful Andaman Sea in the south of Thailand. You can be sure that it is always my goal to do everything to create an unforgettable nice vacation for you. If you have any questions, please feel free to contact me. I will always have the time to help and to serve and make everything as easy as possible for you.